I am interested in species-oriented processes, a fancy way to say I am a taxonomist interested in phytoplankton space-time distributions and their environmental controlling factors. Using light and electron microscopes are part of my daily routine due to my focus on identification based on morphology. The analysis of large data sets may also be part of my day (hours at the computer) since a single field sample may have dozens of species and we need dozens, hundreds of samples to understand phytoplankton patterns in an ever-dynamic ocean. I am part of the support team that issues daily and weekly Red Tide Status reports. I also invest time in meetings and conference calls because the results based on morphology and community structure is one piece of the puzzle that fits in a much broader scenario in which other researchers contribute with information that span from ocean circulation to the molecular make-up of the species of interest, as well as their physiology and life cycle strategies. I enjoy going to the movies, cooking, reading, exercising (hiking, yoga, running, swimming, snowshoeing when in Michigan – all in moderation), and skyping with my family in Brazil. I like to strike a balance between staying quietly at home and socializing with friends and family. When a chunk of time is available, travelling is also on my list. Paul Larson from IS&M, Research Information Services, volunteered some of his time to sit down with us this month and explain some of his work at FWRI and beyond. A BS from the University of Minnesota and a PhD from Ohio State University. My PhD was in invertebrate evolution (molecular phylogenetics), systematics and taxonomy. My dissertation was on the evolution of various reproductive strategies in brooding sea anemones, and treated several taxonomic issues in that group. What kinds of professional experience do you have? I worked as a NOAA Groundfish Observer, a drinking water microbiology analyst at Analytica Alaska, and had a post-doctoral project modeling species distribution of freshwater fishes. 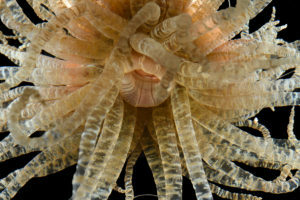 I have several ongoing projects: On the research end, I’m working to put together a dichotomous key to sea anemones found in and around Florida. This is a long-term project and only progresses when I find time here and there. I try to collaborate with other groups whenever and however I can, and in the near future I’ll be working with the corals group on surveys of hard-bottom communities in the Gulf. On the curation end, I’ve been working toward setting up the specimen database for migration to a new system designed specifically for biological collections and working through the historical backlog of collected specimens that have not been identified or cataloged. 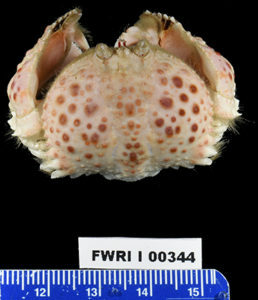 I am also collaborating with 3-D digitizing experts at the USF Digital Heritage & Humanities Collections to produce some digital specimens as a pilot, or proof-of-concept experiment (These will be on the new FWRI website when it finally goes live, but can be seen at this link now https://sketchfab.com/USF_digital/collections/biological-specimens). 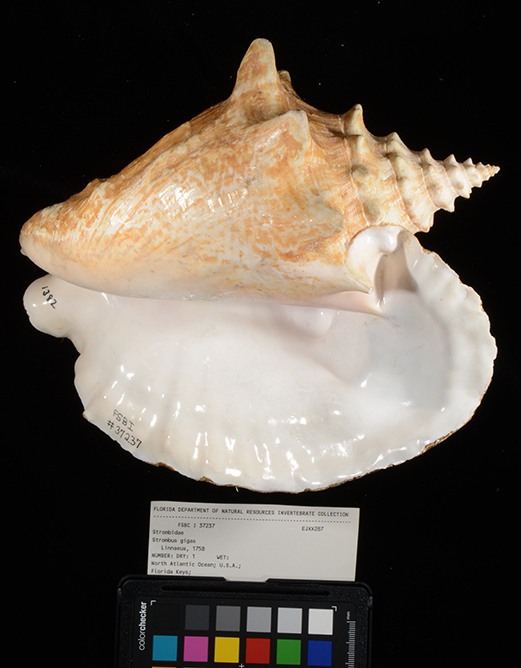 Specimens are much more than just a record for a species’ occurrence in a time and place. Inside their guts, their cells, and their molecules, they contain biological, geological and chemical data about the environment they lived in. As new analytical technologies develop, specimens become even more valuable sources of data that, otherwise, would require a time machine to collect. The projects I’m working on seek to maximize the value of the specimen collections by making them and their associated data available as broadly and easily as possible. 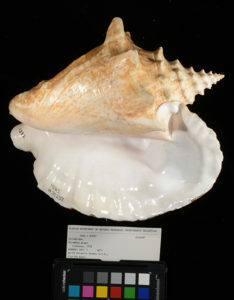 A queen conch specimen from the collection. SIS has wet-preserved specimens which retain the soft tissues of the animal and dried specimens like this one for loan. My days are extremely variable. Some days I spend all day on the computer writing, or working in the database, or dealing with administrative stuff. Other days I might be on the microscope identifying specimens, or in the field collecting. On the best days I do a little of everything, which might include giving a tour, corresponding with colleagues, and working with specimens. I am probably most proud of my research products (i.e., publications) because all the reams of data and hours of analysis are pointless without distilling it into little discrete increments of knowledge that can be used by others. Honestly, though, in today’s research/job climate, just having an advanced degree and then finding a job that actually uses that degree is an accomplishment to be proud of in itself. One challenge is getting voucher specimens from ongoing FWRI research projects. Florida Statute 1004.56 states that it’s the ‘duty’ of state agencies to deposit vouchers from regular research and monitoring activities. Through our Memorandum of Understanding with FLMNH, the collections here at FWRI can indefinitely maintain and curate specimens resulting from FWRI research efforts. If your research results in dead fish or invertebrates, it should result in at least some specimens. In order to keep them suitable for genetic studies, recently collected specimens like this Calappa tortugae are not being fixed in formalin and are having tissue sub-samples preserved in 95% ethanol and frozen at -80C. I love learning new things – the weirder and more bizarre, the better. 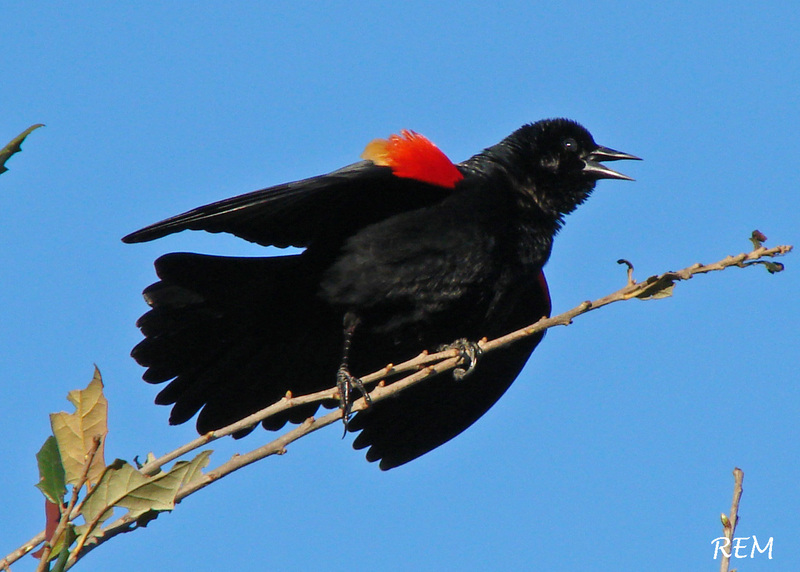 When your work is based in biodiversity, there are frequent opportunities to have your mind blown by creatures, behaviors, and associations that are wilder than you could have ever expected. Was this your original career interest? I have wanted to be a scientist since 4th or 5th grade, and a biologist high school. Curating a natural history collection was something that only started to interest me in graduate school when I worked in museums and did research using specimens. What would you be doing if you weren’t involved in science? If I wasn’t in science I’d probably want to work in the movie industry doing special effects work (practical, not CGI), especially gross makeup or horror gags. The corkscrew anemone is an important member of reef communities because it frequently hosts cleaning organisms like Pederson shrimp. What advice would you give someone interested in pursuing a career in your field? If you are interested in marine science, the science has to come first. Lots of people like the idea of working in and around the sea, but graduate advisors look for people with questions, ideas, and the ability to test them. Get as much research experience as you can as an undergraduate – no matter what field. My undergraduate research was in entomology, but the skills I learned could be used on sea anemones, whales, or sea grasses. If you want to be a curator or natural history collections in particular, that is a mostly a matter of luck and waiting because those jobs are very few. I do a bad job playing guitar, a good job playing with my kids, and I like to try to build things that make me learn new skills in my garage. B.S. and M.A. from the College of William and Mary in 1975 and 1979, respectively; PhD from Texas A&M University in 1983. 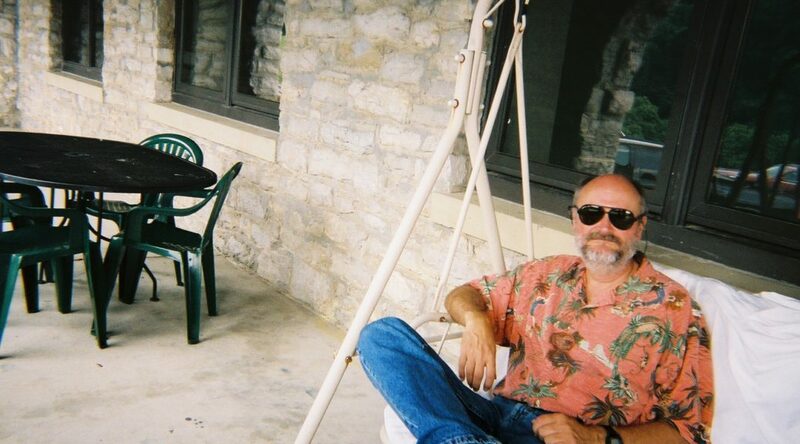 I have been at the Institute since 1987, but before that time I had postdoctoral fellowships at Harbor Branch Institution in Fort Pierce, Florida, and at Rutgers University in Tuckerton, New Jersey. At various times during my tenure at FWRI, I have lectured in some classes at USF and been an adjunct at USF, UF, and UCF for the purpose of serving on graduate student committees. My work at FWRI began with supervising a four-year study of the Little Manatee River (in the Fish Biology Section). Later on, I moved to the Fisheries-Independent Monitoring Program (FIM), where I have been ever since. A red-winged blackbird, as photographed by Ed. Most of my time is spent assisting the various FIM field labs with fish identification and improving the identification keys that we have for various families of fishes. I also write or co-write various manuscripts and edit other manuscripts for FWRI staff. In addition, I often assist with fish identification for the public when information requests are sent to the lab. Accurate information on the distribution and abundance of fishes in Florida is necessary for informed fishery and ecosystem management. This is obviously true for fishes of direct economic value, but it is also true for non-harvested species who are predators, competitors, and prey for the harvested species. Information on the latter species becomes even more important as we develop more ecosystem-level management strategies. My work days vary a lot, but I spend considerable amounts of time identifying fish for the FIM program, assisting FIM personnel in fish identification, and compiling information useful for the identification of Florida species. Other frequently recurring activities include writing and editing manuscripts and identifying fish for the public. The latter activity is obviously an important part of our outreach efforts, but it has also produced some interesting fish records. Most photos from the public are common species, but every now and then we get something really rare, such as the jellynose fish (we’re up to three specimens now of this rare deep sea fish). 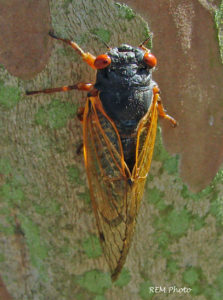 A periodical cicada. photographed by Ed. Other than surviving this long, I suppose it would be developing expertise on the identification, distribution, and abundance of Florida fishes, including juvenile stages. By training FIM staff in fish identification and producing materials (e.g., identification keys) useful for identification of Florida fishes, I hope I have made some contribution to the excellent reputation of the FIM program for producing high quality, accurate data. There are about 1,200 species in what I would call the FWRI universe: Florida waters from freshwater to the edge of the continental shelf. Nobody arrives at FWRI with knowledge of this entire fauna; it has to be obtained over years of hands-on experience and study, and I still learn something new almost every day. In fish identification it is developing methods for identifying poorly known species. This is especially true for offshore species; species groups containing multiple, closely related species which are difficult to separate; and for juveniles of various species. Assisting FIM staff, other FWRI staff, and the public with fish identification, and watching young staff members develop their skills in this area. Working on something involving water was always my main interest. From fishing and keeping aquaria as a kid to studying biology in college, this never changed. 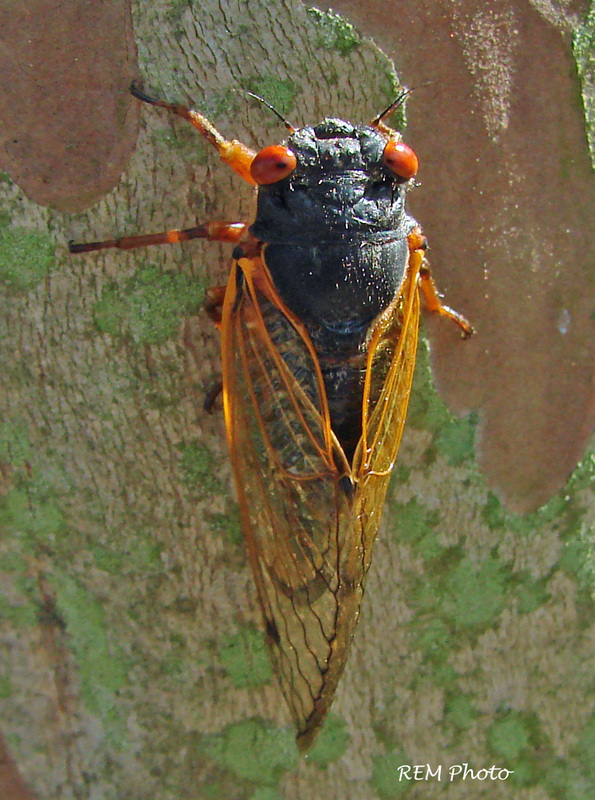 I could have studied aquatic insects at one point (sorry fish people, but these may be the coolest animals on the planet and very few people know anything about them), but ichthyology was a much better career choice. 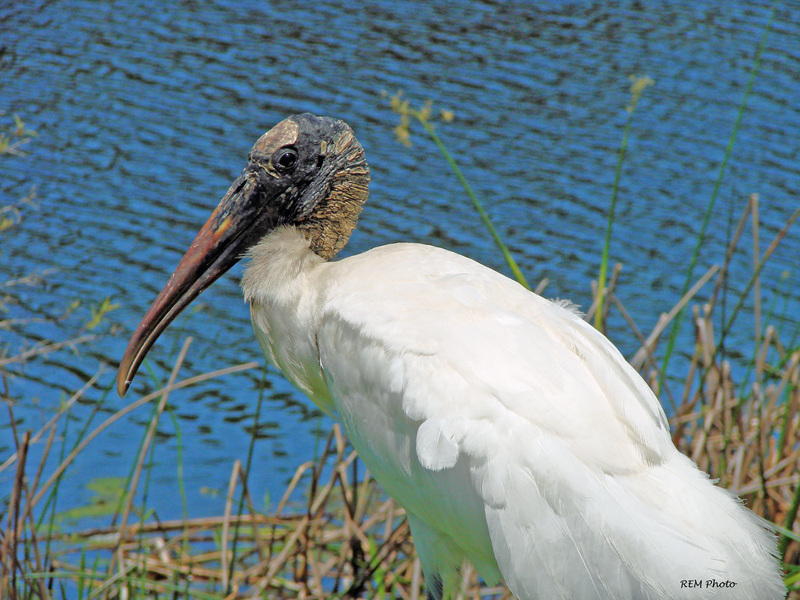 A wood stork, photographed by Ed. Probably still something involving the natural world. Park Ranger? Nature photographer? Also, I love old movies, so perhaps I would be involved in the film industry. Nature documentaries? Only do it out of love for the work. If you get into this field for the money, you are not thinking very clearly. Most of us make enough money to pay our bills, but there’s not much room for error. But, if you really love the work, by all means become a marine biologist. If you love it enough, it’s not really like having a job. I do a lot of nature photography. I am by no means an expert, and I insist on using an outdated camera that I have been using for years. Nevertheless, I still come up with some good shots. As I mentioned above, I also love old movies, TCM channel is great. 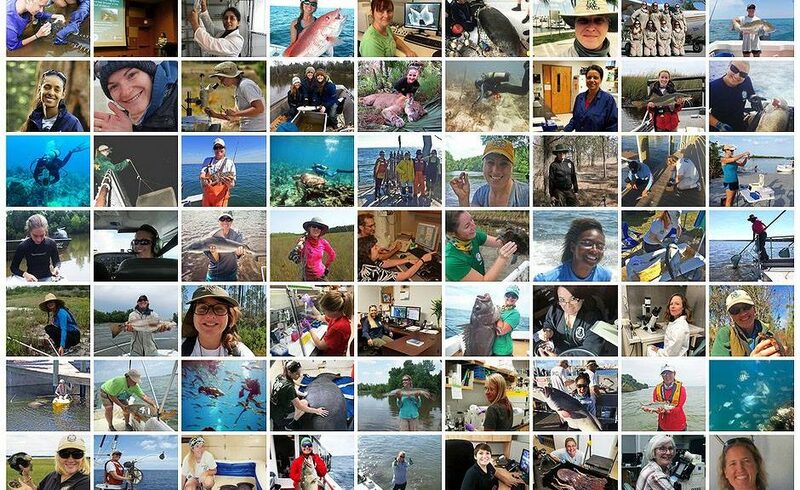 With degrees ranging from Animal Behavior to Zoology, the Fish and Wildlife Research Institute recognizes its Women in Science. The FWRI Purchasing Office is here to give you their quick tips for your future purchases. 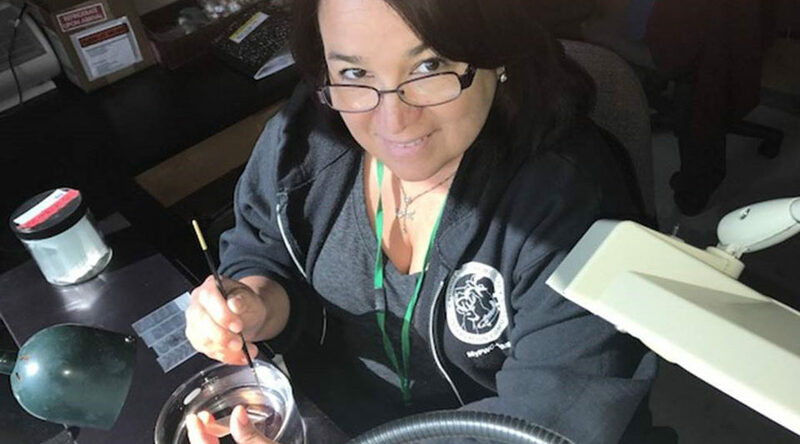 The Fish Kill Hotline Coordinator for FWC, Catalina (Cat) Brown focuses on coordinating response to aquatic mortality events for the State of Florida. 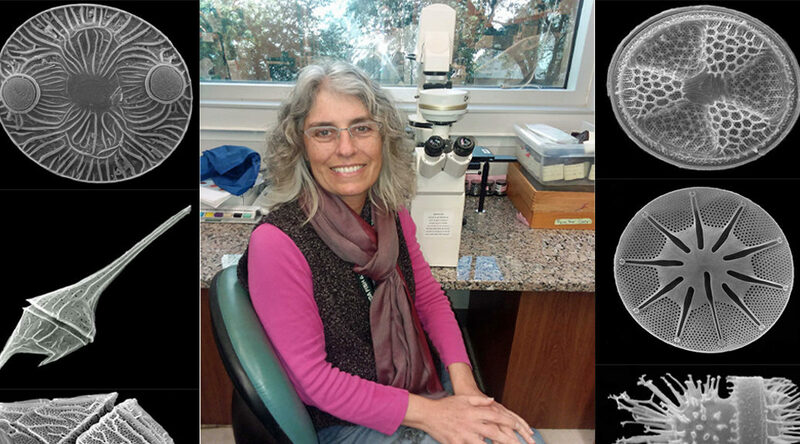 Brown specializes in histology, and studied light and electron microscopy at Eckerd College and graduated with a Master’s degree in biological oceanography from USF Marine Science. Her Master thesis, “Ovarian morphology, oogenesis, and changes through the annual reproductive cycle of the female blue crab, Callinectis sapidus Rathbun, in Tampa Bay” focused on gonad staging using histological analysis. Histology is the science of producing stained sections of preserved tissue on glass slides that can be examined under a microscope. Parasites, bacteria, and fungi, as well as pathological processes and abnormalities can be detected in these preserved tissues. The techniques used in the FWRI Histology laboratory are similar to those used in hospitals where medical doctors and pathologists examine tissue. Histology is an important research tool for numerous research projects at FWRI, including Fish Biology, Fish Health, Endangered and Threatened Species, and Shellfish Biology. Tissue slides are used in determining the reproductive status of fish populations, the overall health of marine species that are important to Florida, and for the evaluation of pathologies and parasites. A large part of the position involves providing information and educational support to the public on sport fish, red tide, fish identification, fishing regulations, data requests, and other marine related topics. 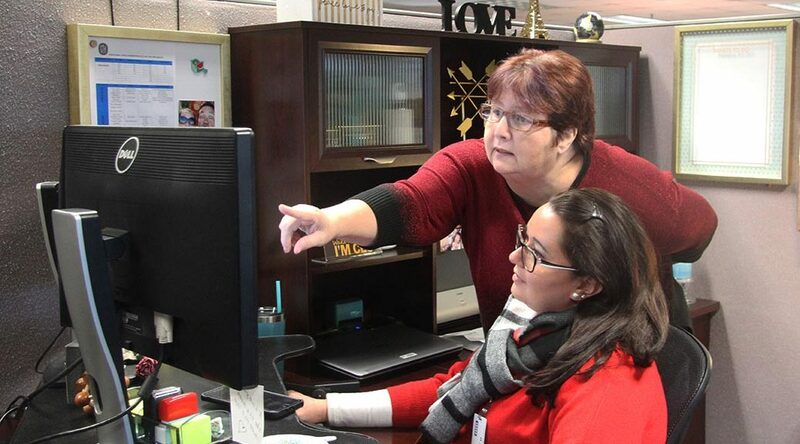 Connecting with stakeholders regularly is a very rewarding part of the job. 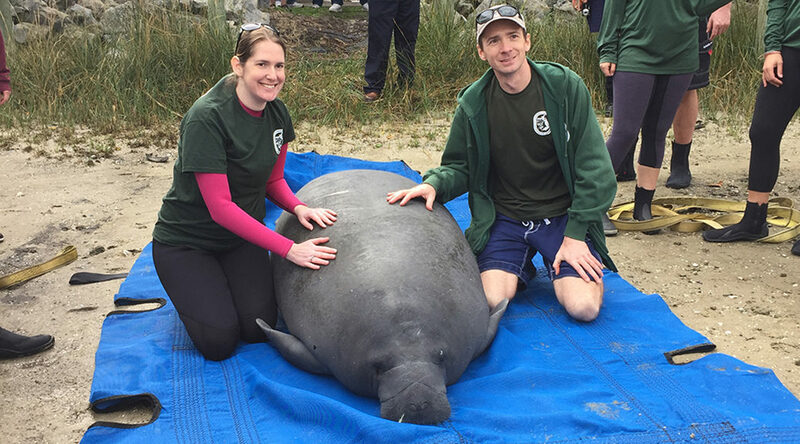 “They are naturally very interested in our research and like to hear the scientific information that I provide regarding marine and freshwater mortality and disease events,” Brown said. The Fish and Wildlife Health Group study disease and mortality in fish. They investigate abnormal specimens of fish and naturally occurring causes of fish kills, such as algal blooms, low dissolved oxygen, and low dissolved oxygen caused by algal blooms. In addition, the group studies diseases in wild fish populations related to water quality conditions, such as salinity and pH. Analysis of samples includes the use of many diagnostic tools. Charlie Gardner, a staff member in Fisheries Dependent Monitoring (FDM), shares his purpose and his passion as a field research biologist for the FWC Fish and Wildlife Research Institute. 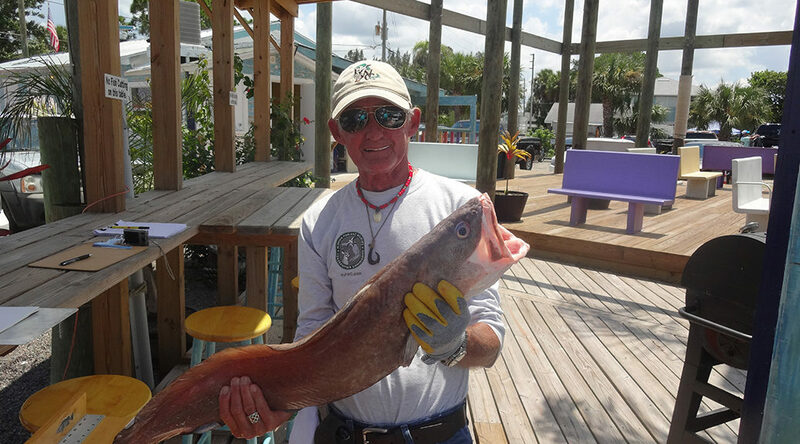 Charlie has served FWC for almost 20 years, and has worked to create strong bonds with Florida’s local fishermen. 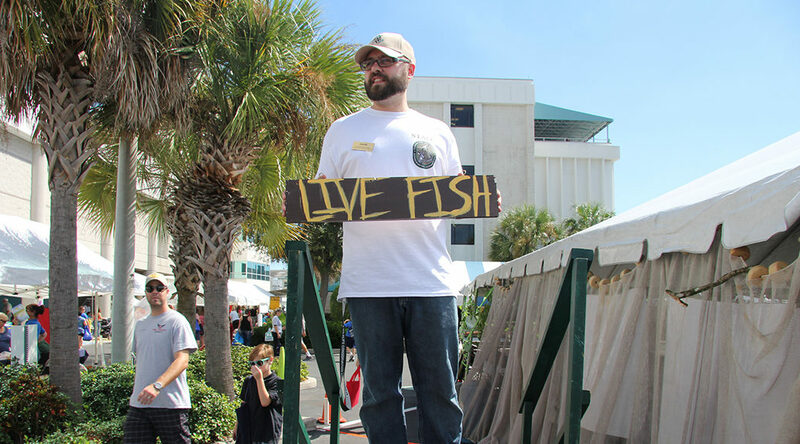 Justin Hill is dedicated to sharing his passion for the outdoors as the outreach coordinator for the Freshwater Fisheries research section at the FWC Fish and Wildlife Research Institute. 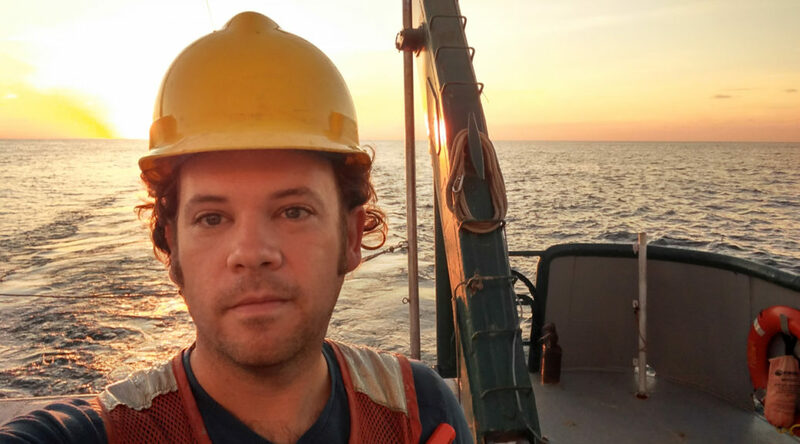 Brandon Bassett is a marine mammal biologist at FWRI’s Marine Mammal Pathobiology Laboratory in St. Petersburg, Fla. Our latest staff spotlight video goes into more detail about Brandon’s career and his professional achievements. 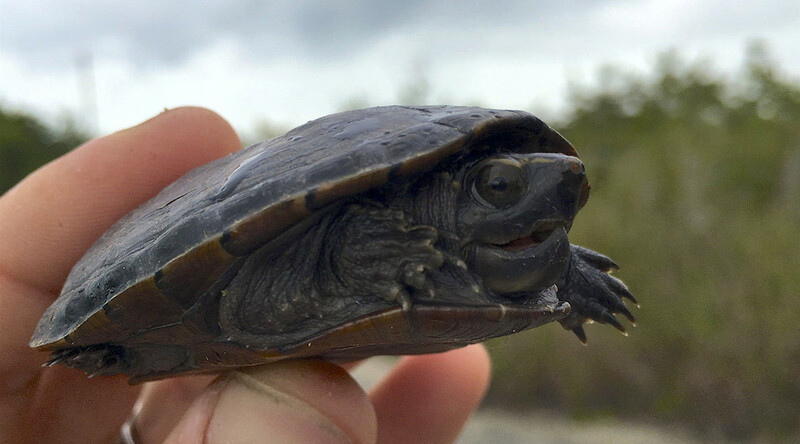 Assistant research scientist, Jonathan Mays, describes his work in reptile and amphibian research with the Fish and Wildlife Research Institute.